Altria’s Marlboro brand cigarettes are displayed for sale at a liquor store in Nashville, Tennessee. “We believe Juul and Cronos present meaningful opportunities to participate in fast-growing adjacent categories,” CEO Howard Willard told analysts on a call discussing the earnings report. Shares of the company gained about 3 percent Thursday morning. Altria reported fourth-quarter net income of $1.25 billion, or 66 cents per share, down from $4.97 billion, or $2.60 per share a year earlier. On an adjusted basis, Altria earned 95 per share, matching what analysts surveyed by Refinitiv expected. 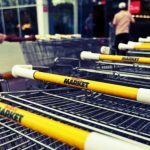 Net sales rose 1.5 percent to $4.79 billion, when excluding excise taxes, slightly below expectations of $4.81 billion. Total domestic cigarette industry volumes fell by an estimated 4.5 percent in 2018, Altria said. Its cigarette shipments fell 5.8 percent to 109.79 billion units from 116.61 billion units in 2017. For the full year of 2019, Altria forecasts adjusted earnings within the range of $4.15 and $4.27 per share. Analysts are expecting $4.24 per share. Altria expects its tax rate to increase to 24.5 percent, up from 23.5 percent. It also anticipates capital expenditures to total $225 million to $275 million and depreciation and amortization expenses of about $240 million. For the year, Altria expects domestic cigarette industry volumes to decline within a range of 3.5 percent to 5 percent. The company is still awaiting a decision from the Food and Drug Administration on whether it can introduce iQOS, a device that heats tobacco instead of burning it. Philip Morris International sells iQOS overseas. Altria will sell the device in the U.S. if the FDA clears it. Cigarette sales have been declining for years, but the business is shrinking faster than usual. 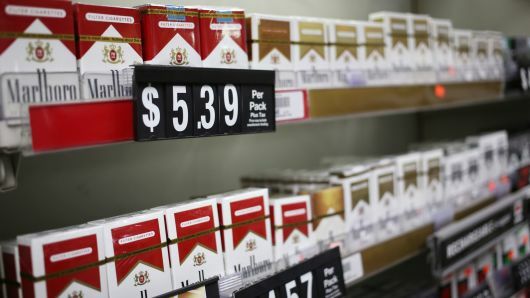 Between 2000 and 2017, U.S. sales volume, measured per cigarette, has decreased an average of 3 percent every year, according to a review of the company’s financial statements. That accelerated to 6 percent between 2017 and 2018. Willard blamed e-cigarettes, especially Juul, and high gas prices, for the steeper drop.